Katie Brueggen holds a Master of Science Degree from Stetson University in De Land, Florida. She is a Wisconsin licensed Marriage and Family Therapist and designated as a Qualified Professional for the treatment of autism. Katie is a clinical member of the American Association of Marriage and Family Therapy, as well as the Wisconsin Association of Marraige and Family Therapy. 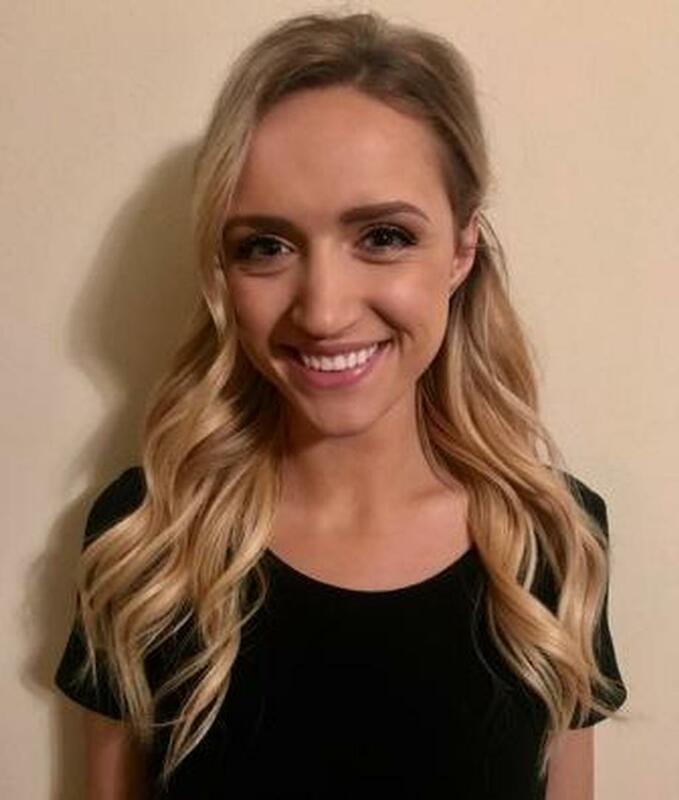 Katie has extensive experience utilizing play therapy, applied behavioral analysis, Floor Time, social skills streaming, cognitive behavioral therapy, and group therapy in the treatment of children diagnosed with autism spectrum disorder, ADHD, anxiety and other developmental behavioral disorders. Katie is trained in the use of biofeedback, including neurofeedback, to diminish symptoms of anxiety and improve concentration and attention. With a family centered approach, Katie often works not only with children and their siblings, but also with parents offering direct observation of treatment, inclusion in the treatment process, and coaching in how to implement therapeutic strategies throughout the child's daily life. 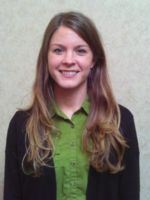 Katie has extensive experience working with children and adolescents diagnosed with autism spectrum disorder. She received training at the University of Michigan - Ann Arbor to administer the Autism Diagnostic Observation Schedule, 2nd Edition (ADOS-2) as a tool for comprehensive autism assessments. Additionally, as a marriage and family therapist, Katie is able to assist parents and the entire family through the process from assessment and diagnosis to treatment. Katie has a special connection with children which allows her to gain helpful insights into them. Children like and trust her resulting in their cooperation and benefiting from the therapy process. She is a respected colleague and an important member of the Achieve Center treatment team. Paige Buedler received her Master of Science Degree in Professional Counseling from Concordia University Milwaukee, Wisconsin. She completed an internship at the Achieve Center and is now in her residency. Having extensive training and experience in applied behavioral analysis for the treatment of autism, Paige combines these skills with play therapy and social communication facilitation to assist children on the autism spectrum to reach their optimum best. Since joining the Achieve Center, she has been able to aptly apply her abilities to assisting a range of children with other neuropsychological disorders with remarkable success. Paige Buedler has dedicated her professional interest to children with neuropsychological developmental disorders. As her chosen specialization, she is an excellent fit for the mission and vision of the Achieve Center. Being able to provide treatment for these children goes beyond knowledge. It requires the therapist to have a connection, a sense of respect and understanding for the child, and an ability to read the emotional and behavioral nuisances the child projects. Paige has such a connection with children which is why she is successful in her work. Children and parents alike trust and believe in her. Macy Erickson completed her Masters Degree in Speech and Language Pathology at University of Wisconsin Eau Claire. With several successfully completed Externships in a variety of pediatric clinical settings, Macy joined the Achieve Center in 2017 with excellent preparation. Having strong experience in collaboration with allied health care providers and educators, Macy is able to assist a child as part of a multidisciplinary team and thereby, providing optimum care. At the Achieve Center, this is particularly important because it utilizes a collaborative co-therapy approach. Macy has the skills and ability to integrate speech and language therapy with behavioral health treatment thus, better facilitating a child’s social communication development and their speech and language self-confidence. Macy Erickson has a special interest in engaging parents in learning therapeutic strategies which they can use to assist their children at home and in the community. Macy’s clear and direct instruction is valued by parents and children. She utilizes a respectful and empathetic approach providing a safe and productive environment for a child’s speech and language to develop. Macy has a special ability to engage children of all ages who have diversified speech and language challenges. Her knowledge and expertise in treating pediatric communication disorders in combination with her child centered modality is establishing her as a valued resource for parents and families. 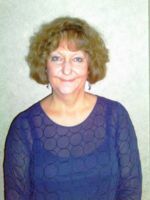 Kathleen George-Bol, MS is a Wisconsin Licensed Professional Counselor. She holds a Master of Science Degree in Educational Psychology from the University of Wisconsin – Milwaukee, Milwaukee, Wisconsin. She obtained her Wisconsin Professional Counselor Licensed in 2003 and has practiced as a psychotherapist since that time. 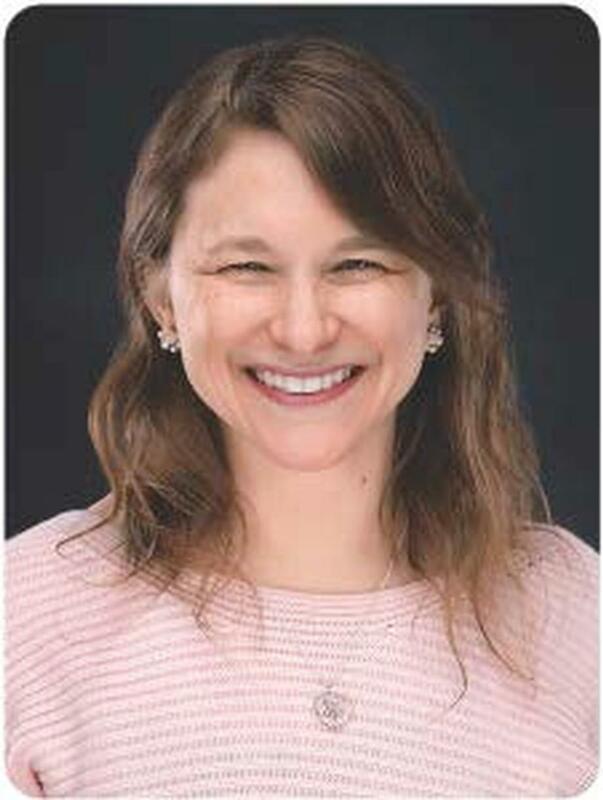 Kathleen joined the clinical staff of the Achieve Center September 2018. Kathleen has extensive multi-cultural training and experience across pediatric and adult populations. She is sensitive to the diverse needs of those in her care and the implications of their life experiences and beliefs on the therapeutic process. Through her knowledge and sensitivity, Kathleen assists people with enhancing their self-worth and belief in their ability to modify their lives and to gain the contentment which they are seeking. As an experienced cognitive behavioral therapist, Kathleen has excellent skills necessary for treating adolescents and young adults and assisting them in developing skills to navigate the challenges which life has presented. Through play therapy, Kathleen helps young children to cope with events and situations which cause them distress and to overcome anxiety and depression which maybe outcomes from those experiences. Kathleen’s training and experience as a psychometrist and clinician has provided her with special knowledge and abilities to assess and treat individuals with attention deficit hyperactivity disorder, ADHD. Through parent/family and teacher survey reports, in-depth interviews, direct observation, and established assessment protocols, diagnostic clarification can be gained and appropriate recommendations and treatment plan established. Kathleen George-Bol brings a wide breath of knowledge and experience to the Achieve Center and assists all in obtaining their optimum best. 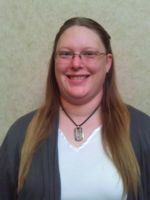 Elizabeth “Beth” Krueger is a Wisconsin Licensed Professional Counselor completing her residency at the Achieve Center. 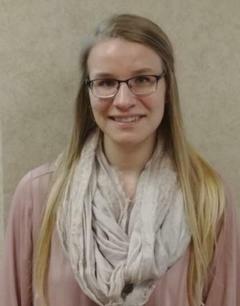 She holds a Master of Education in School Counseling from Concordia University and completed her practicum in school counseling at Greenfield High School in Greenfield, Wisconsin, Frank Lloyd Wright Intermediate School in West Allis, Wisconsin, and Maple Grove Elementary School in Greenfield, Wisconsin. She has been previously employed as a behavioral therapist working with children on the autism spectrum. She has extensive experience with children and adolescents and with assisting families with identifying and acquiring allied services important for the wellbeing of their members as a Family Care manager. Her varied experiences help her to bring a unique approach to the Achieve Center clinical team. Dr. Rossetti has provided clinical services for children with special needs for 33 years. Prior to joining the Achieve Center staff he taught for 27 years in two different university settings. 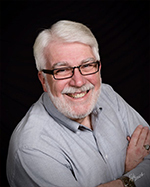 He is an internationally recognized authority on services for children and their families; and is a frequent presenter at professional conferences throughout the world. He is the author of five books on children with special needs. He is the author of the Rossetti Infant-Toddler Language Scale, the most widely used communication assessment scale in use in the world today. He is the founding editor of Infant Toddler Intervention: The Transdisciplinary Journal, and has been named a fellow of the American Speech-Language-Hearing Association. 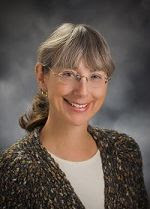 Tracey Schindler is a Wisconsin Licensed Professional Counselor who holds a Master of Science Degree in Counseling Psychology from the University of Wisconsin-Madison. She completed her residency at the Achieve Center and her practicum in school counseling at Glacier Edge Elementary School in Verona, Wisconsin. She was previously employed as a school counselor at Escuela International La Lima, an international school in Honduras. Tracey believes in a holistic, multi-cultural approach to treatment. She draws upon her training in diverse specialties that include the Greenspan Floortime Model, behavioral therapy, cognitive behavioral therapy, dialectical behavioral therapy, craniosacral therapy, biofeedback, neurofeedback, and meditation. She is a member of the International Association of Instructors in Infant Massage. Tracey has extensive training and experience as a psychometrist, providing neuropsychological testing under the supervision of neuropsychologists. She continues her interest in assessment by providing evaluation for children who struggle with attention deficits, impulse control, and anxiety. Tracey understands the importance of parent involvement in treatment and values the insights parents have regarding their children. Tracey strives to assist parents to advocate for their children and to learn parenting skills and strategies. She believes strongly that parents can help their children to develop skills for emotional regulation and social engagement through direct teaching, observation, and practice. Tracey enjoys assisting children from diverse backgrounds. She is bilingual in English and Spanish and incorporates American Sign Language into therapy for children who struggle with speech/language, auditory processing, and hearing. Tracey has experience in helping children across a continuum of cognitive and learning abilities. She values the opportunity to witness children learning and growing. Tracey’s enthusiasm for her vocation and her love and admiration for children and their families is evident when she greets a family with her warm contagious smile and out stretched arms. Wendy Thur is a Wisconsin licensed English teacher who has spent 17 years teaching reading and writing strategies and literature classes in public school. She is certified in English as a Second Language (ESL) and in the Orton- Guillingham approach through the Dyslexia Training Institute. Wendy is a gifted teacher who is well qualified to assist children with dyslexia and other learning disabilities to achieve their optimum potential. While in the public school system, Wendy saw the needs of many students not being met due to the lack of time and trained staff available to assist students with dyslexia and other learning challenges. Without specialized instruction, these children would very likely never read, spell and write at a level which would allow them to reach their highest potential. Through her own initiative, she implemented individual changes in her class curriculum to better meet the needs of her students while keeping in place required standards. As a result, the classes she taught were in high demand and she developed a reputation for assisting marginal and average students to significantly improve their academic performance. In the Orton Reads A Gnu and So Can You! program, Wendy's patience, dedication, specialized teaching strategies, and philosophy of parent inclusion helps insure a child’s success. Wendy enjoys seeing the growth in students’ confidence and self-esteem and the pride they experience in their accomplishments. Students enjoy the enthusiasm she brings to the learning process and the knowledge that she believes in them and will be a trusted advocate. Wendy lives on a small farm where she raises Icelandic sheep. An insatiable learner, she is determined to master spinning and knit a sweater from a sheep she has known since birth! Greg Turinetti, MS, LMFT is a Wisconsin licensed Marriage and Family Therapist. He completed a Bachelor of Science degree at the University of Illinois at Chicago Circle with a major in Psychology. He was ordained as a pastor in the American Lutheran Church after completing his M.Div. (Master of Divinity) in 1982 at Luther Theological Seminary in Saint Paul, Minnesota. 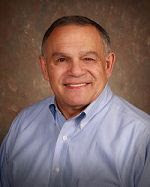 He served Wisconsin parishes of the Evangelical Lutheran Church in America (ELCA) until 1994 when he began his studies in Marriage and Family Therapy at the University of Wisconsin - Stout in Menomonie, Wisconsin. He was awarded his Master of Science degree in Marriage and Family Therapy in 1999 and was licensed as a Marriage and Family Therapist in 2001. In his fifteen years of practice, Greg has assisted individuals and their families confronted with addiction issues, domestic disputes, health crises and the criminal justice system. His extensive experience with families facing a spectrum of life struggles has provided him with a respect for the resilience of families. Greg understands the challenges parents face when their children have special health needs. Caring for the child while tending to the needs of the entire family is complicated. Greg's thoughtful approach provides parents with the support and encouragement they need. Greg utilizes a patient centered cognitive behavioral approach with individuals, couples, families and groups. He is culturally informed and understands the value of diverse ideas and beliefs. His goal is to assist people in understanding the relationship between their thoughts, emotions, and behavior and to help them identify the healthy changes they want to make in their body, mind and spirit. Greg knows that the contentment found in relationships reflects the wellbeing of the people in them. He strives to assist all who seek his services to be healthy, content, and reach their full potential in all aspects of their lives and relationships. 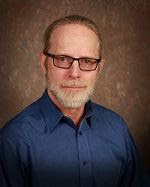 Bruce Wendt, MSE, psychotherapist/psychometrist, received a master’s degree in Guidance and Counseling from the University of Wisconsin-Oshkosh in 1986. He is licensed by the State of Wisconsin as a Clinical Social Worker and a Professional Counselor. He was previously employed at Aspirus Wausau Hospital and Clinics for nearly 27 years as a Medical Social Worker and as an Employee Assistance Counselor. Mr. Wendt specializes in the treatment of anxiety and attention disorders and the problems of personal identity and life choices. Additionally, he provides psychometric assistance for the neuropsychologists. Bruce Wendt’s life-long curiosity about the mind and its mysteries has led him to investigate multiple complementary treatment approaches such as meditation, biofeedback, and mindfulness. When appropriately blended with traditional treatment methods, such as cognitive behavioral therapy, the probability for success of treatment is greatly enhanced. He is a seasoned therapist whose calm and supportive demeanor provides a safe and secure environment for his patients. Long regarded as an insightful mentor by those he has treated, Bruce Wendt is held in high esteem by his patients, colleagues in the community and at the Achieve Center. Carol Wesley, MS has been with the Achieve Center from its inception. As Director she manages the operation of the Center in coordination with the Board of Directors. In addition, she maintains a clinical practice providing treatment to children and adults with a focus on marriage and family. Carol believes that children make more rapid progress when parents are active participants in treatment and utilize learned therapeutic strategies with their children at home. She views herself as a collaborator with parents assisting children with emotional development and behavior management. Carol strives to assist adults and children with special needs to achieve their maximum potential and to adjust to and to find accommodations for those life challenges which cannot be changed. If in the face of limitations people can find acceptance, they will live a richer more rewarding life and will utilize their strengths to seek opportunities and to achieve their goals. Carol has been a marriage and family therapist for over 30 years. She obtained her Master of Science Degree in 1984 from the University of Wisconsin-Stout. She has completed training as a Genetic Contact with the University of Wisconsin-Madison Waisman Center. 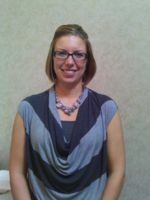 She is licensed by the State of Wisconsin as a Marriage and Family Therapist and Professional Counselor. She is also certified by the State of Wisconsin as a Vocational Rehabilitation Counselor. Carol is a Clinical Member of the American Association of Marriage and Family Therapy and board certified as an Employee Assistance Professional by the Employee Assistance Professionals Association. Carol’s professional affiliations are with the Wisconsin Association of Marriage and Family Therapy where she served 2 terms on the Board of Directors 2005-2010 and with the American Association of Marriage and Family Therapy. Her community service is with the Marathon County Reach Committee, Marathon County Birth to Six, Muscular Dystrophy Association, and University of Wisconsin-Madison Waisman Center Community of Practice in Autism. Angel Shaver holds an Associates Degree in Applied Science and Health Care Business Services from North Central Technical College. She also holds a Technical Diploma in Medical Coding and several Technical Certificates related to health care business and billing. Her experience with computer software and hardware is a great asset to the Achieve Center. As the Billing Specialist, Angel provides a friendly smile to every person with whom she interacts and assists in navigating the challenges of health insurance reimbursement. She is a very cheerful person that is willing to help anyone in need of her assistance whether with a health insurance issue, other billing question, or in need of applying for a discounted fee or free services. Her excellent problems solving skills plus her pleasant personality, makes her the “go to” person for everyone who comes to the Achieve Center. Yvonne Zais is the “hub” of the Achieve Center. She coordinates the behind the scenes activities of the clinical services. She ensures that all the correct documents are accurately completed, compliance standards are maintained, and patient needs are attended. Yvonne is an expert in coordination keeping the Achieve Center humming not only with efficiency but also with her warm and caring personality. With over 20 years of experience as an administrative assistant at Texas Tech University Health Sciences Center and Grand Rapids Medical Education and Research Center, Yvonne's attention to detail has made her instrumental in the maintenance of the Achieve Centers quality assurance program. Yvonne Zais is our go to and can do person who we hold in high esteem and who, at times, causes us to stand in awe.